Art is in the eyes of the beholders, plural. Art is in the eye of the beholder. Or, according to experimental visual artist, Evan Boehm, art is in the eye of the beholders, plural. 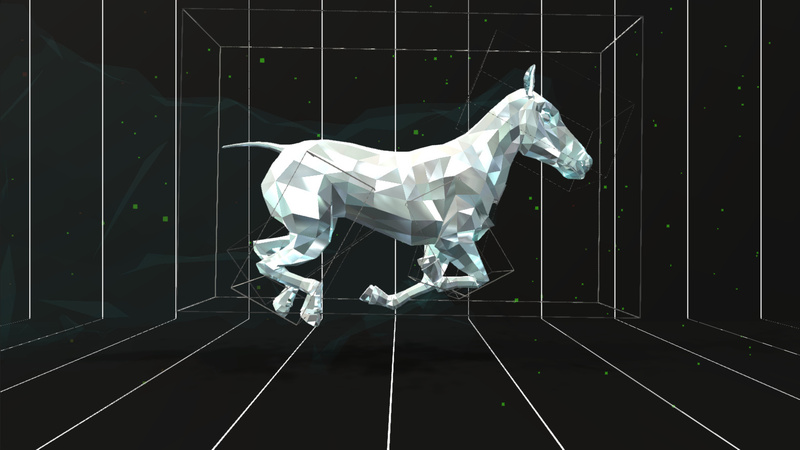 His recent project with Nexus Interactive Arts, titled Looking At A Horse, is a ethos-focused visual installation that changes its appearance in real-time, depending on its surroundings and the number of people watching. This is group-watch at its finest. Boehm’s piece responds to its audience. 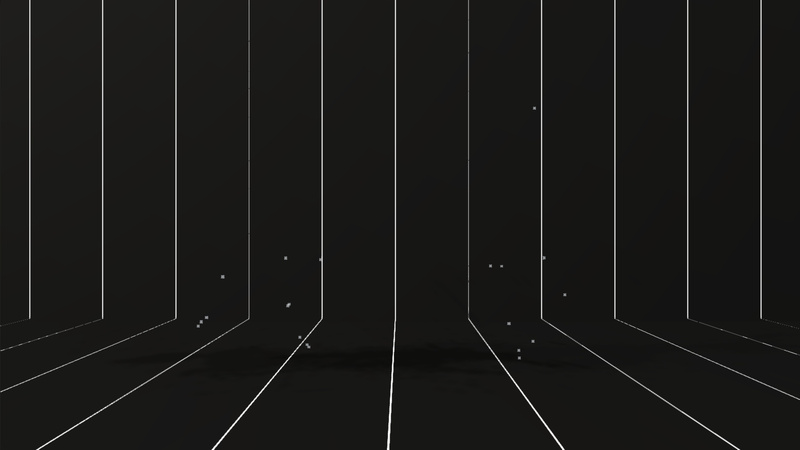 In an empty room, the screen would display a few axis points that resemble a horse constellation. The more people who enter the room and watch, however, the more detail the horse appears — adding “skin and muscle” as well as other layers. The installation incorporates openFrameworks, openCV, and Unity, as well as a camera with face and blob recognition software so it can track how many people are viewing it at once. Thus, the viewers are as essential to the art as the technology itself. The Creators Project talked to Evan Boehm, who collaborated with us on the epic, interactive film The Carp And The Seagull. He told us that he gets asked to show The Carp from time to time, but always declines because it was not made for a gallery setting. 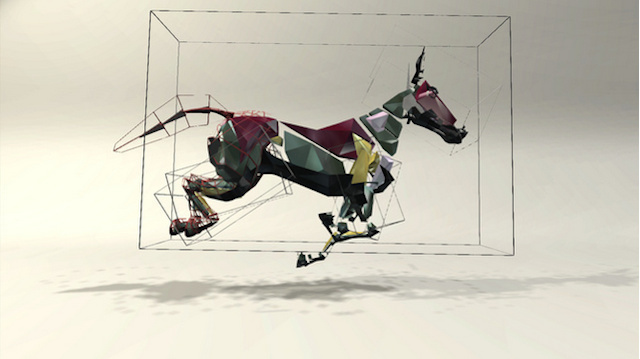 Rather, he wanted an interactive visual piece that worked in a physical space, and the horse project was born. It took him two months to complete, mostly tinkered with during his off time from commercial work. Looking At A Horse is set to a percentage of a dynamic maximum, but Boehm estimates that as many as 500 people have looked at the horse at once. The symbiotic relationship between the audience and the piece is essential, but it also ensures that no two viewings of the piece will be identical. The artist noted that openFrameworks is “one of the greatest things in the world” for visual artists. This software, as well as the more tedious openCV, are “ubiquitous in the creative sector now, their place feels equivalent to the Penguin book or your favorite drum machine.” This technology has become his “testing bed for procedural work” and he plans on adding more visual and interactive layers to both Horse and future work. This is art that demands a community. Forget going to the museum by yourself, Boehm is promoting a modernized campfire tradition, favoring strength in numbers rather than solitary contemplation. If you haven’t seen Boehm’s prior project, The Carp and The Seagull, visit the interactive website, here. Also watch a video of that project below.